As the world’s #1 wireless backhaul specialist, Ceragon Networks ensures that mobile and fixed-line carriers as well as private network operators have the cost-effective transmission capacity to deliver the voice and premium data services on which we all rely. 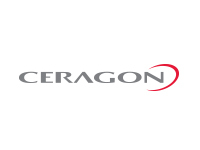 Ceragon’s network solutions lower cost of ownership, speed time to deployment and deliver the highest and most reliable radio capacity for any network. Agile and responsive, Ceragon addresses the constantly evolving needs of today’s networks so that operators can fully leverage new marketing and technology opportunities without business interruption. With 65+ years of proven field experience, Ceragon has the stability, resources, installed base and global reach of a big supplier, and the flexibility, agility and acute responsiveness of a specialist. We bring breakthrough technology with international experience and expertise to our customers wherever they might be. Ceragon’s solutions are effectively deployed throughout a customer base of over 430 mobile service providers and hundreds of private networks in over 130 countries. Our solutions support all wireless access technologies, delivering more capacity over longer distances under any given deployment scenario. Customers depend on our expertise and partnering approach to provide wireless backhaul solutions that meet today’s needs while guaranteeing a comfortable path to future requirements.